I thought with Darrell and Clint doing the Summer Re-watch of Fringe on the podcast, and me being a big fan of the Fringe comics, it was a perfect time to have a Summer Re-read! I’m going to be re-reading the Fringe, Tales from the Fringe, and Beyond the Fringe comic series and posting my thoughts on the quality of the comics, and any interesting nuggets that might pop out with the benefit of post-Season-4 hindsight. 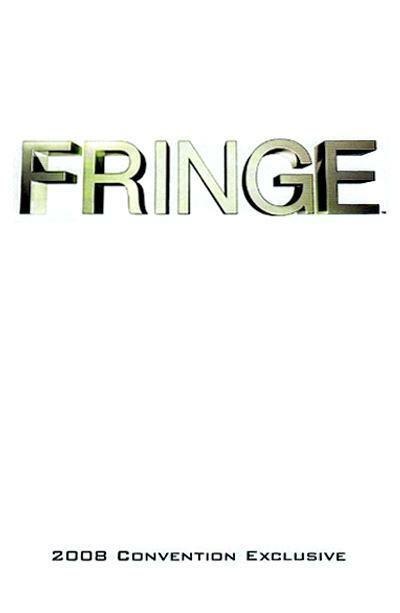 To kick it off, I started with Fringe #0 - the prequel to the Fringe comic miniseries which was originally a convention handout and is now available for free from Comixology, and perhaps other online merchants too. It’s pretty short at just 5 pages of story, so I thought it wouldn’t take long but there’s a lot of info here! The story was written by JJ Abrams, Roberto Orci, Alex Kurtzman and Jeff Pinkner, with the comic script being written by Mike Johnson and the art by Tom Mandrake, an artist I am currently reading another DC book by, called Night Force. He’s good. The comic is structured in the form of a lecture being given by a Professor Ku from The National University of Singapore, on a series of events. Ku is introduced by a Doctor Cory. Neither of those names jump out at me from the Fringeverse. Have we seen or heard of these guys before? The first case is from a ranch in Kansas, where 210 healthy cattle died overnight. Their bodies were found intact with no signs of disease or injury, with the possible exception of the fact that their organs were all human. Freaky. This case has not been in any other Fringe media that I know of. The fact that they appeared not to have been operated on in any way indicates to me that these cattle are some sort of genetic experiment, which ties in very well to Bell’s work creating his weird and wonderful creatures for his Brave New World. In the final frame we see the reflection of a man in one of the dead cows’ eyes and next to him are three orbs of light forming a triangle. I’m not aware of any significance to that from the show but it seems like we were meant to see it! What are we supposed to see in Mandrake's art here? The next page outlines a series of events that involves a “plane of unknown origin” flying low overhead off the coast of Sri Lanka and is quickly followed by a high-pitched frequency reaching a nearby boat that shatters its windows and disables the engine. An hour later, there is a huge earthquake and a tsunami that kills 83,000 local people, but all the damage is held in a 5km radius, and nobody outside the area reported any signs of a quake at all. It has been pointed out online before that this case is from Broyles’ notes, seen in the pilot and in the Fringe Press Kit which can be found on Fringepedia here. One thing that stuck me about this case was the damage being localized to the 5km radius. It reminded me of two Season 4 episodes – Welcome to Westfield and the finale itself. In Westfield the damage from DRJ’s experiment was kept inside a set radius also. In the finale we saw a radius of sea where there was a universal overlapping within it that nobody outside could observe. The third case is that of a Chicago boy named Adam Sears. He disappeared from a car park and was later found asleep in the loading dock of a German pharmaceutical factory outside Munich 10 years later. He has no memories of anything after his disappearance and hasn’t aged a day since. Once again the case ties in to Broyles’ notes but they contain a case with a different child, because apparently there are another 46 such cases (that makes a total of 47 – that JJ Abrams number again!) of missing children from 1998 turning up un-aged in 2008. The case somewhat reminded my of the Season 1 episode Inner Child where the child who I believe later became an Observer was very much under-aged for the length of time he presumably must have been trapped where he was. A tenuous link but I’m going with it. The fourth page outlines a case from Lisbon, Portugal where an 87-year-old man awakes from a 23 year coma following a stroke. He is unable to communicate but writes down a string of numbers believed to be random but later found to be the precise real-time coordinates of every US Navy ship in the pacific at the moment he awoke. This case is also in Broyles’ notes. It reminded me of the recent Beyond the Fringe comics which told the two-part Ghost Writer story in which Nina’s robotic arm begins to write things to her in the night. It also reminds me of so many of the weird and wonderful abilities that have been bestowed on seemingly random individuals in the show’s past, starting with Roy in The Ghost Network. In many of these cases the people where not as random as they seemed and had some ties back to Walter usually. I wonder what induced this man’s stroke all those years ago? The final page mentions a 5th case, providing little details in the text, where the speaker wraps up the lecture stating that “our world is undergoing a radical shift, the nature of which is still open to interpretation” and “The Pattern is not an urban myth”. In the art however, there are some details. The case involved the birth of a child that, when presented to the mother, makes some very strange and aggressive noises, horrifying the mother with its appearance that we are not privy too as we look at her face. Bizarre and horrific births are not something that Fringe is a stranger to, and indeed this case reminds me a lot of Fringe cases from the show. Perhaps the child was linked to Penrose and this was an accelerated pregnancy, although the mother seems to be quite calm prior to being shown the baby, suggesting that the time leading up to the birth was “normal”. The original printing of this comic also included some details on the characters but we’ve learned a lot about them by now. One thing that I read online though (having only the digital copy, without the bios) is that Walter was born in London. I was aware of his connection to Germany but not to England. Maybe I just forgot. Anyway, there’s my thoughts on Fringe #0, a short but detail-rich comic. Feel free to post your thoughts on this comic below if you’re also re-reading as we re-watch, or if you just have a fantastic memory(! ), and I’ll be back soon with my thoughts on Fringe #1. I would give this comic a 4/5 for story and a 5/5 for art. There was a tonne of info but the art was what really told the story of all that in just 5 pages.